The attorney general lied to Congress, and now he uses a department named “Justice” to undermine justice. Impeachment is not a legal mechanism. It is a political act. The founders employed the catch-all phrase “high crimes and misdemeanors” to provide leeway for the future generations who would hold errant officials to account. An impeached and convicted official is not jailed or fined. He is simply removed from office. This is the appropriate remedy, as the point of impeachment is not punishment or vengeance but, rather, protection of the republic from lawless and dangerous individuals who have claimed positions of power. Trump has brought a chorus of impeachment calls upon himself. But he is not the only member of this administration whose words and deeds demand a constitutional remedy. 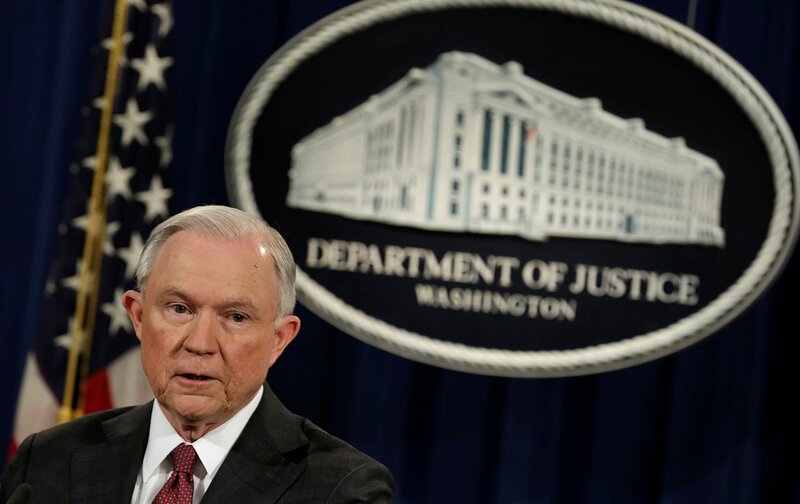 By many good measures, the list of those who should be removed begins with Attorney General Jeff Sessions, the most lawless and dangerous member of this administration. As US Senator Al Franken, D-Minnesota, says of the testimony Sessions gave to his Senate Judiciary Committee confirmation hearing with regard to contacts with Russian officials: “I think that he did not answer truthfully under oath.” When the lies that Sessions told were exposed, he recognized the seriousness of the circumstance and recused himself from further involvement with the inquiry into alleged ties between Trump’s business and Trump’s campaign to Russian interests. Members of Congress, who swear an oath to “support and defend the Constitution of the United States against all enemies, foreign and domestic; that I will bear true faith and allegiance to the same,” can begin to honor that oath by using the power that has been afforded them to impeach and remove Jeff Sessions.